The late John Andreini was a lifelong advocate of higher education. 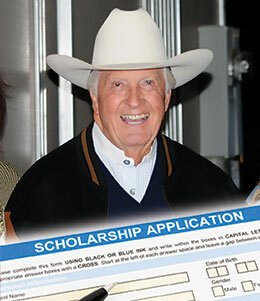 RUIDOSO DOWNS, NM—FEBRUARY 11, 2019— The first scholarship award in memory of the late John Andreini has been announced for Fall 2019. Applications will be open February 15 and close on April 15 through the All American Ruidoso Downs Foundation (aardfoundation.org).